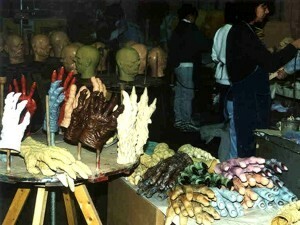 Don Post Studios in the mid 1970's. 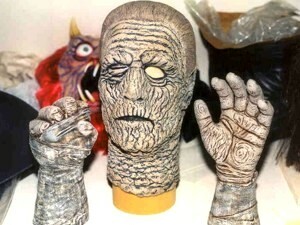 from Don Post Studios in the mid 1970's. 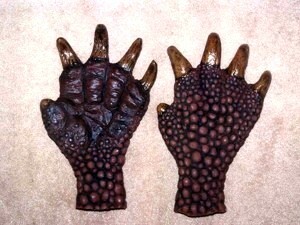 2nd style Creature hands, mounted with "underwater" mask in the Hollywood Masks Cabinet. 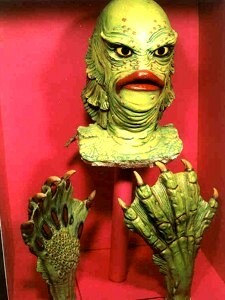 marketed by Don Post Studios in the 1960's. 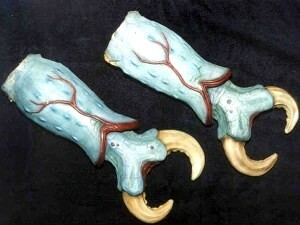 Thing hands, custom made but never marketed. 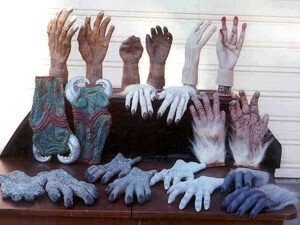 available from the mid 1960's to early '70's. 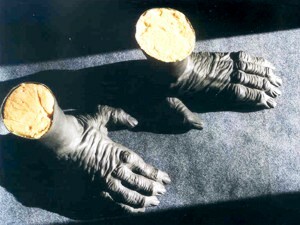 First and second style Mole People hands by Don Post. 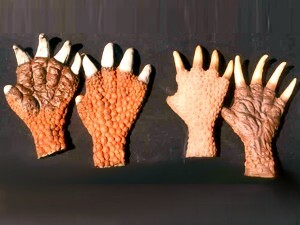 Old style Mole People hands by Don Post Studios. 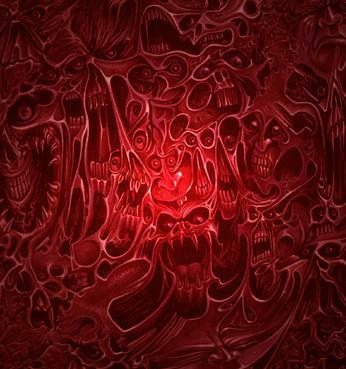 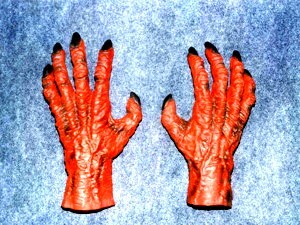 is Great Goblin hands by the Savage Eye. 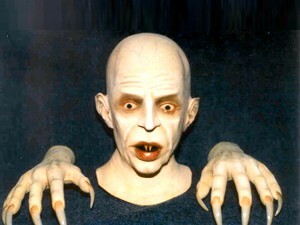 near-perfect match for the "calendar" Mr. Hyde. 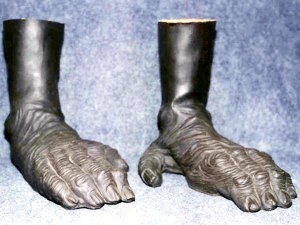 Gorilla feet by Don Post Studios, late 1970s. 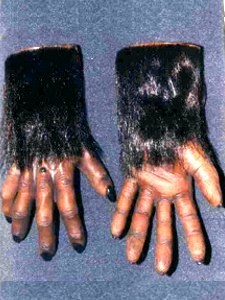 Foam filled Gorilla feet by Don Post Studios, late 1970s. 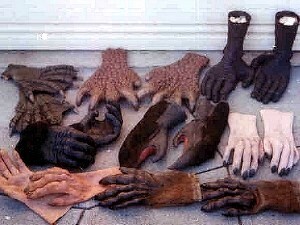 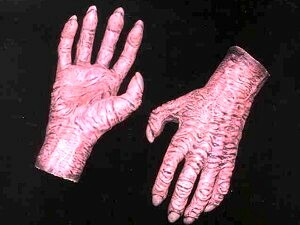 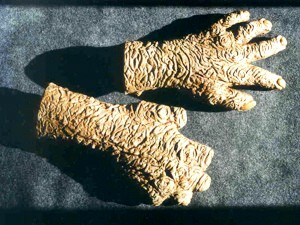 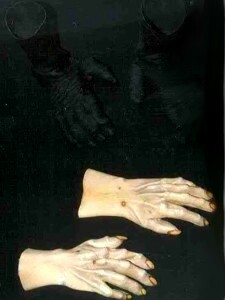 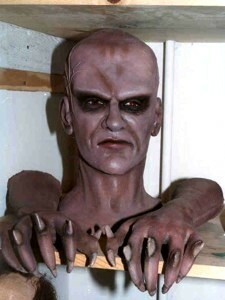 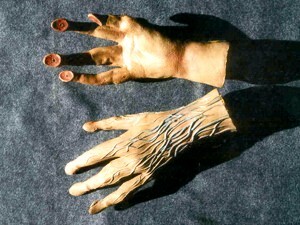 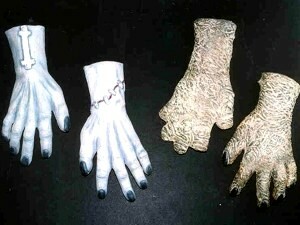 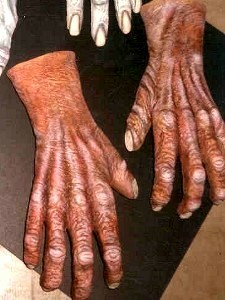 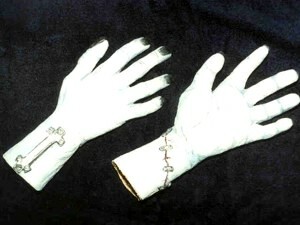 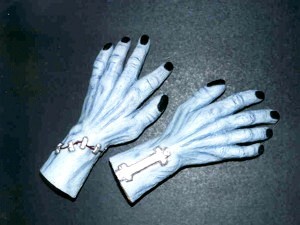 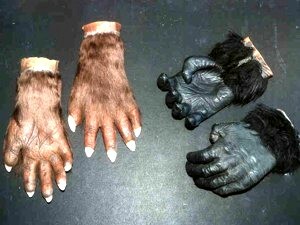 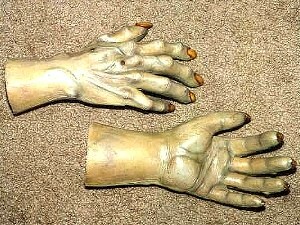 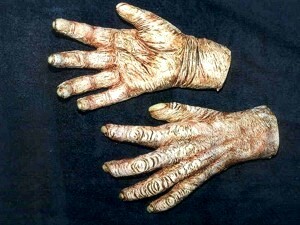 1990s era monster hands by Don Post Studios, sculpted by E Yeager in the "old style"
Old style Frankenstein hands by Don Posts studios, mid 1960s to early '70s. 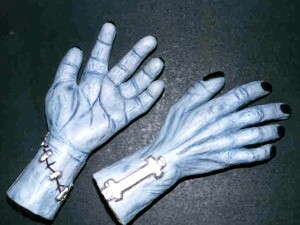 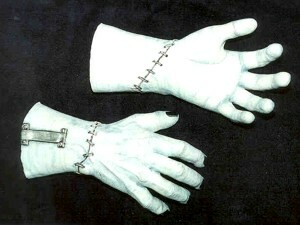 Old style Frankenstein hands available from Don Post Studios from mid 1960s to early '70s. 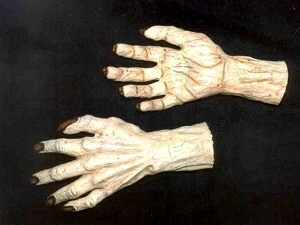 Old style Mummy hands by Don Post Studios, available from mid 1960s to early '70s. 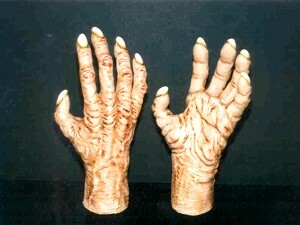 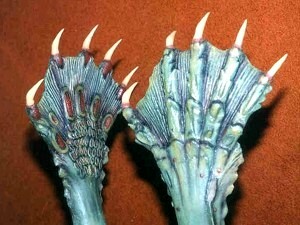 900 line Alien hands by Don Post Studios. 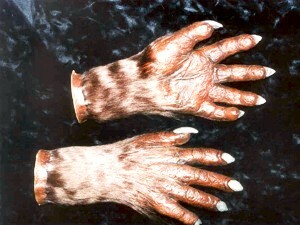 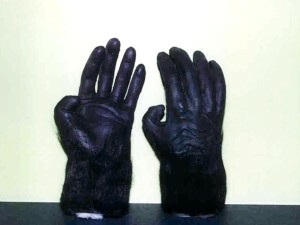 Later style Gorilla hands by Don Post Studios (finger are straighter) 1970s.